Season time is coming up in Naukuchiatal and also in the neighboring areas of Nainital and Kausani. The entire region will be full of tourists and after all the cold, everything will come back to life. Nainital, the epicentre of Kumaon tourism will be flocked by thousands of tourists from all over India. A time when all everyone is going to be so damn busy entertaining their Gods :) While only a few people will come to Naukuchiatal, most of these tourists will be going and staying in Nainital. 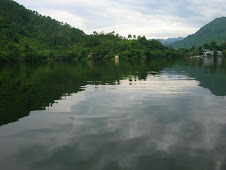 We came across a very nice blog on Nainital which is still very new. We have been told that by the time its season time in Nainital, this blog will be the best source of information for entire lake district of Nainital. Titled All About Nainital, we are already finding this blog very useful. Though there aren't enough posts as of now but we can imagine what the blog will be in a couple of weeks from now. Do check out if you are visiting Nainital. We are sure you will be not disappointed.